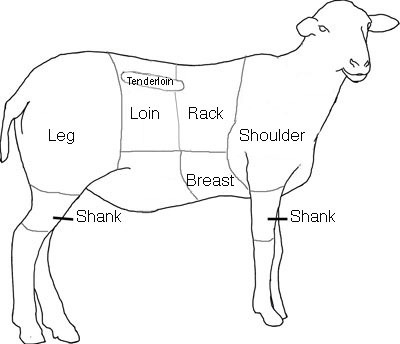 Arm, Blade, Shoulder, Loin, Chop, Roast, Rib – these are all words that appear on packages of lamb meat. When trying to choose what cut you want and how to cook it – it can be overwhelming in the store. One could spend an eternity staring at each selection, wondering what they are going to do – never really coming to a decision with confidence. If you have ever felt this lamb meat anxiety (or LMA) then I am here to at least clear up some of the confusion. I haven’t used lamb a lot. However I did buy a couple chops a week ago for a Christian Seder dinner. 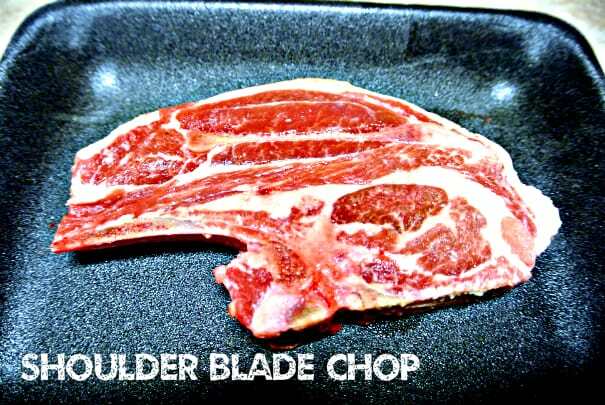 I bought two different types of shoulder chops – the arm and the blade. 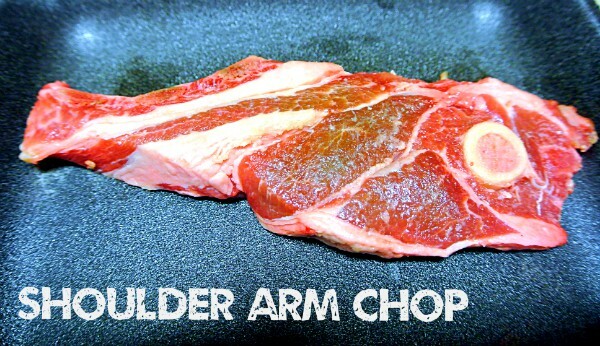 First you need to understand what a shoulder chop is. Imagine yourself getting down on all fours. Where is your shoulder at? This is the same place as the lamb. Now if you walked around like that for a while I bet your shoulders would start to hurt. They are doing a lot of work. So shoulder meat on a lamb does a lot of work. This makes the cut tougher and yet more flavorful. Shoulder cuts are economical. To save some money it’s worth time investing on how to cook them. The arm chop is recognized by the small circular bone on one side. That bone is naturally the arm bone. It has a good chunk of fat at the opposite end. It’s a nice cut that has a good deal of flavor. The blade bone and backbone on the bottom half of this chop. The fat is distributed more throughout this chop than the arm chop. Eric’s Reading Recommendation: This is my favorite books when it comes to learning about different cuts of meat, including lamb, and how to cook those cuts. It’s from one of the best meat companies on the planet, Niman Ranch. The recipes in it are fantastic!